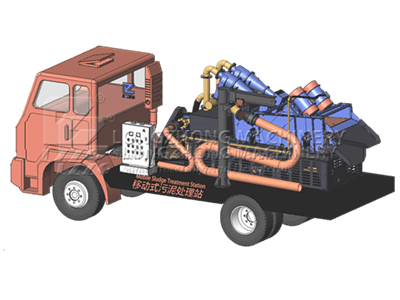 LZYN-1020 mobile slurry treatment station is designed for the Building piling slurry, dredging of rivers and lakes, urban sewer dredging and the other industries, which was designed and applied to multi-site operations according to actual requirements. This mobile slurry treatment station has the characteristics of high production efficiency, excellent working effect, convenient and flexible operation and can meet the requirements of various working environment. Mud to be processed will come into the lower layer of sieve machine through feeding pipe, The lower sieve plate (hole seam is 5mm) sieves the large particles whose size is more than 5mm, small particles of material will come into the tank under the sieve with water, and then through the slurry pump, they are fed into the high pressure separator that can concentrate and separate the solid particles. 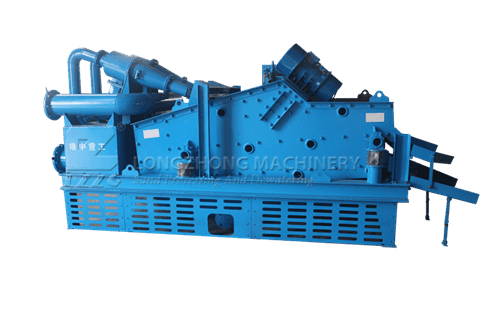 The slurry reached about 50% flows out from the bottom of separator and get to the upper screen , the sieve plate (hole seam is 0.16mm) can complete dehydration operation and realize the mud drying. 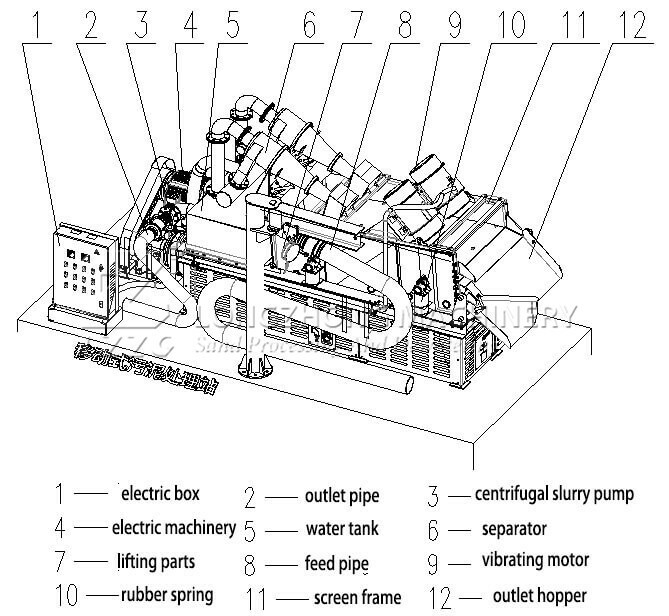 The waste water less than 3% of the suspended matter flows into the water tank from the overflow of the separator, and then is discharged through the discharge pipe.